Polymer Pavements, also known as Polyroads, has its head office in Johannesburg, South Africa and is represented in eighteen countries on four continents Polymer Pavements manufactures and develops environmentally friendly Smart Materials for road construction, low cost road seals, factory floors, dust control, barrier liners and spray-on geoliners for dams. These Smart Materials includes in-situ material binders, soil modifiers, asphalt modifiers and elastomeric mortar admixtures. Smart Materials challenges the core of conventional road construction and design, by bringing in unprecedented resilient modulus flexibility, which is required for Mechanistic-Empirical (ME) road designs. Smart Materials, reduces the number of supporting aggregate layers for cement modified/stabilized flexible and rigid road designs, and the re by substantially reducing construction costs. During the past 70 years, a number of countries have been researching and developing various polymeric admixtures in modified concrete mortars. Today, the USA,Germany, Japan have Standard Specifications for polymer modified mortars and concretes. However, in general the construction industry has been pedestrian in adopting technology. Smart Materials have been developed as a renaissance to the stoic road construction industry. Layered pavement designs have not changed for the last 100 years. Smart Materials, are purposely designed and allows the construction industry to use insitu and waste materials that in many instances would be discarded as unsuitable. Smart road materials (SRM) from Polyroads enables the private and mining sector to reduce CO2 emissions, reduce aggregate and water consumption. To stay abreast of nano polymer technology, Polyroads have a number of bi-lateral research and development agreements in place with an international chemical partners. 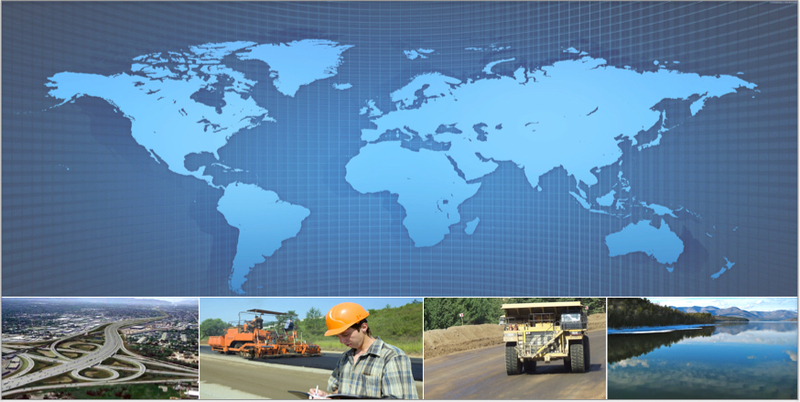 Polyroads are focused on soil sciences and the positive impact the technology can bring to the construction industry. Polymer Pavements aims to be the foremost developer of Material Sciences for the Mining and Construction Industry. Smart Materials enables the utilization of in-situ and waste materials, to mitigate carbon emissions that are traditionally associated with conventional construction methodologies. Integrity – Adhering to our core values and conducting business in an ethical way. Accountability – Taking responsibility for our work and being transparent while doing so. Commitment – Our promise to the customer to deliver what was promised. Performance – Smart Materials that are environmentally friendly while surpassing traditional construction methodologies at a reduced cost. Transformation – Adapting to Global change.